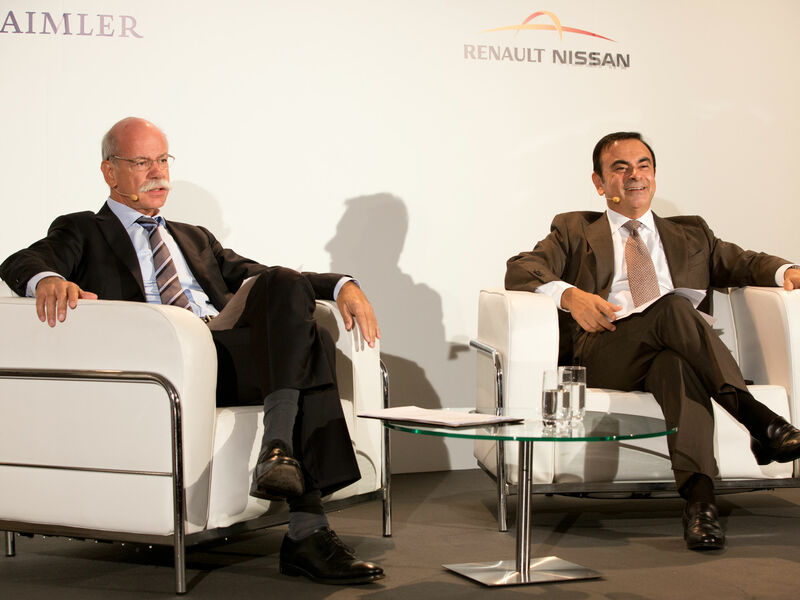 Carlos Ghosn, Renault CEO and Dieter Zetsche, Daimler AG CEO, held a briefing on September 11 at the Frankfurt motor show to update the media on the progress of their companies’ three-and-a-half year strategic partnership. They had the opportunity to talk about new projects such as electric vehicles, fuel cell technology (co-developed with Ford), or the feasibility study into jointly-developed front-wheel-drive vehicles for Mercedes-Benz and Infiniti. Watch the highlights from the briefing in the video below.